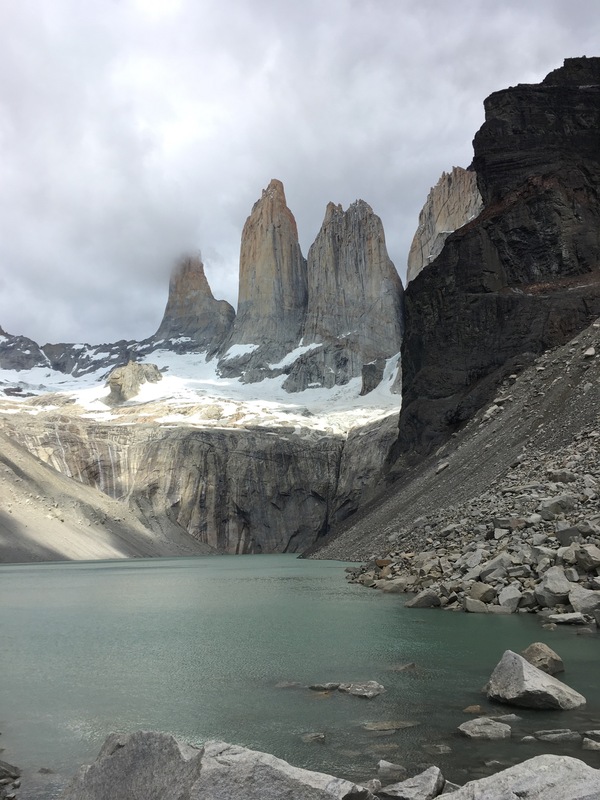 Flo Bullough continues her Patagonia reporting with a dispatch from the incredible Torres del Paine National Park! Over last weekend, I followed in the footsteps of my namesake, Lady Florence Dixie (more about this remarkable woman below! ), and went hiking and exploring in the Torres del Paine National Park in Southern Patagonia, Chile. The names refers to the blue (‘Paine’ in the native Telhuelche language – pronounced pie-nay, the towers appear blue-ish from a distance) towers (Torres in Spanish). Not impressed. Facial expressions: a mixture of laughter and heartbreak! back up. This time we were rewarded with a beautiful, almost completely clear view of the granite spires looming over the milky blue glacial lagoon. The weather is notoriously bad/changeable at the park and we basically experienced all the weathers (bar snow) in one day. 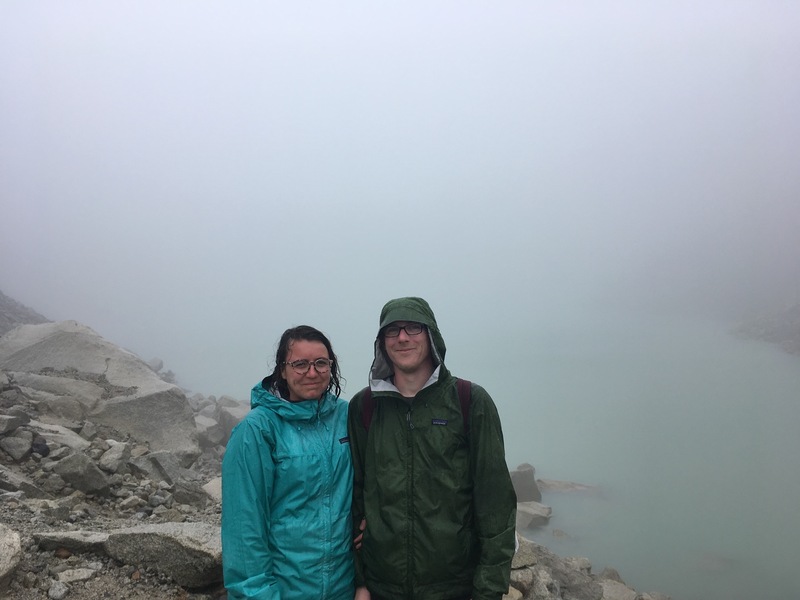 Sometimes it was raining, sunny and 80km/hr winds all at the same time! The clear-as-day Torres were taunting us at breakfast. So we strapped our boots back on! Fortunately the weather held for our second hike up, and we were rewarded with this stunning view at the top. The towers are set within the Torres del Paine National Park in southern Chilean Patagonia all the way down at 51 degrees south latitude. 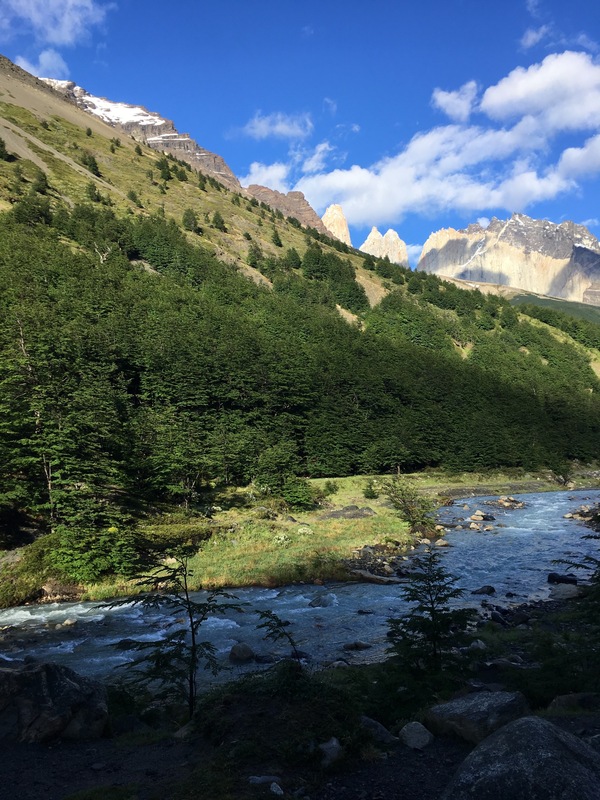 The park was designated a world biosphere reserve by UNESCO in 1978 and is dominated by the Paine granite massif in the Cordillera del Paine, a small mountain group which is an eastern spur of the Andes. The national park boasts stunning landscapes encompassing glaciers, lakes, rivers, mountains and a beautiful array of wildlife. The majority of the park is made up of Cretaceous sediments with Las Torres themselves being made of granite underlaid by a Miocene-aged gabbro-diorite Laccolith. The sediments this was intruded into have been heavily glaciated across the park and this dominates the geomorphology. The Towers were first described by Lady Florence Dixie, a Scottish writer, traveller, war correspondent and feminist (1855-1905) who hailed from Dumfriesshire. She wrote of ‘Las Torres’ in her book ‘Across Patagonia’ which was published in 1880 and she called them Cleopatra’s Needles. She travelled to Patagonia with a group including her husband of which she was the only female member and her book deals with many feminist themes relating to the position of women and girls in Society and there equal abilities in travelling, writing and reporting. On her return from Patagonia, she shared many of her observations with Darwin. She also returned with a Jaguar which she named Affums and kept as a pet. However, Affums killed several deer in Windsor Great Park and had to be sent to a zoo! Yesterday’s window represented the Isle of Skye, Scotland – leave a comment below identifying which plate tectonic story is shown in today’s! Tags: advent calendar, christmas, patagonia. Bookmark the permalink. This one is tough! My guess would be Cwm Idwal, Snowdonia, Wales.